Rosehip seed oil is a natural product that helps to deminish the appearance of scars, stretch marks, wrinkles and acne spots. The oil contains Vitamin A, which helps to delay the effects of skin aging, assists with cell regeneration, and promotes collagen and elastin levels to increase. This results in firmer, smoother, and more youthful skin with greater elasticity. Rosehip seed oil also contains a high amount of essential fatty acids and Vitamin E, which further promotes healthy skin. Our Rosehip Extra Virgin oil is Certified Organic to ensure the best quality. Argan oil is a rich source of natural ingredients that is good for the skin, nail and hair care. This oil has Vitamin E, carotenoids, polyphenols and Squalene to support antioxidants and anti-aging properties that prevent wrinkles, guard against drying, loss of elasticity and enhance the skins natural moisture, as well as protect skins from cancer. Its antiseptic and bactericide properties protects skin from infections that is suitable to cure acne and scar, also scalp and hair problem. 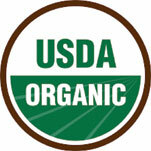 Our Argan oil is certified organic by USDA. Moringa oil is well known that most of the antioxidants and free radical neutralizers with excellent skin smoothing properties that have been used in cosmetic compositions for anti aging benefits as they are absorbed quickly into deeper layers of skin. It is a very stable carrier which is highly nutritious to the skin and similar in composition to olive oil but much lighter. It also has nourishing and emollient properties giving it benefits for use in skin and hair care products. 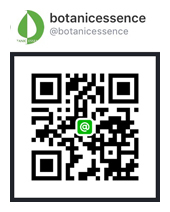 This is ideal oil for use in skincare, hair care, soap and massage products. Pomegranate seed oil has high levels of anti-oxidant activity due to its unique conjugated fatty acids, punicic acid, that has chemical structure shares features with beta-carotene, a well known antioxidant. This makes it a valuable natural stabiliser for cosmetic formulations. It has been also used for medication in skin problems such as eczema, dry skin and sunburn. The oil also ease muscular pains, aches and reduce swelling, helps to ease certain menopausal symptoms such as vaginal dryness, diminished libido, night sweats, hot flashes and mood swings. We source our organic apricot kernels from a beautiful, pollution-free environment and very wild part of the Middle East valley. Apricot kernel oil spreads well and is easily absorbed by the skin, leaving it feeling soft and smooth. Rich in vitamins A, B1, B2, B6, B17 and E it enhances skin elasticity. A stable and mild oil, it is especially good for sensitive and dry skin. It is widely used in cosmetics such as massage oils and lip balms, as well as soothing and anti-wrinkle products. Our Apricot Kernels Oil is certified organic by USDA. Avocado oil is semi fatty oil rich in vitamins. It is high in vitamins D, E & B5 (Panthothenic acid), but also contains various minerals, sterols & lecithins. The oil has a very high monounsaturated level of up to 80% meaning it is high in Omega 7 & 9. It is a useful, penetrating nutrient for dry skin and eczema and is well known for its nourishing, soften, healing, regenerating and protecting qualities for damaged or sensitive skin. It is commonly used in creams, lotions, body butters, sun care products, hair oils and lip balms. The oil nearly does not oxidize. Black Seeds have a particularly long history used. It contain over 100 natural compounds such as thymoquinone, beta-sitosterol, fatty acids, protein, vitamins, folic acid and minerals. The oil has very effective uses in the treatment of diseases related to the respiratory system: including asthma, bronchitis, rheumatism and cold symptoms. It helps calm the nervous system, quells colic pain, stimulates urine production, helps treat pertussis, improves digestion and helps prevent and lower high blood pressure. It's also strengthen and bring luster to hair and nails. Unlike other Grapeseed Oil in current market. This is Certified Organic Grapeseed Extra Virgin Oil from South African vineyard. The cold-pressed oil has golden-green color with delicious taste and delightful complex aroma. The oil is rich in linoleic acid, high level of antioxidants (OPCs) and vitamin E that has wonderful regenerative and moisturizing properties and used as an all-over skin moisturizer, it is known to reduce the appearance of stretch marks and supporting the cell membranes. This is one of pure virgin oil that rarely found and we're highly recommend. Jojoba oil has chemical structure closely to the sebum oil produced naturally by human skin. It is widely used as a moisturiser for both skin and hair. Known for its soothing properties it is typically used in beauty products for all skin types but mainly for dry-skin products. It is quickly absorbed into the skin, leaving the skin feeling soft and smooth. It has also been used in anti-acne products thanks to its ability to break down sebum in plugged up pores. This oil is also use for soothing skin irritations and treating sores, cuts, bruises and burns. Sea Buckthorn Oil has very impressive nutritional profile. It contains over 190 phytonutrients, vitamin A, C, E, minerals, beta-carotene, amino acids and essential fatty acids. It has a long history of use in folk medicine and is well-known today for its healing and rejuvenating effects on the skin. When used topically, it's a great natural cleanser and exfoliator. It can also help heal burns, cuts, wounds, sunburn, rashes, and other types of skin damage. Using the daily helps slow down the signs of aging by nourishing the tissues in your skin and body.